About Mental Health Movement - Start the conversation! To educate and develop a more resilient society, that is proactive in looking after and managing their mental health. The Mental Health Movement is the brainchild of former NRL player Dan Hunt. Dan’s impressive sporting career spanned over nine years culminating in his 150th game played for the St George Illawarra Dragons. During his career as a professional athlete, he struggled with and overcome many adversities. Using the power of personal story and lived experience to break down the stigma which stops people seeking help for mental issues, Dan focusses on driving change by altering society’s perception of mental health issues and those struggling with them. Dan was diagnosed with Type 2 Bipolar Disorder in 2010. At the height of his mental illness and the struggle it presented, he felt alone and isolated as access to information was not readily or easily available. This lead to him feeling vulnerable and fearful as he felt it showed weakness to ask for help or assistance. At the time, Dan knew there would be other people in similar situations, experiencing similar issues who also needed access to helpful information and support. Although a challenging time in his own life, Dan knew if he could openly and honestly share his experiences, knowledge and coping strategies, he would be able to assist others in better managing their own mental health. His own life experiences and determination to help others is what inspired the creation of MHM and lead to Dan’s further study in Mental Health, Community Services, Alcohol and Other Drugs (AOD), Fitness, Business and Career Development. It is through the power of story, education, development of positive coping strategies and by creating strong support networks to help maintain and manage positive mental health that the MHM aims to help improve outcomes for individuals and organisations wanting to build resilience and be pro-active in managing one's mental health. Through collaboration and changing the individual perception towards mental health, westrive to be a leader in delivering mental health management systems within the Australian workplace. 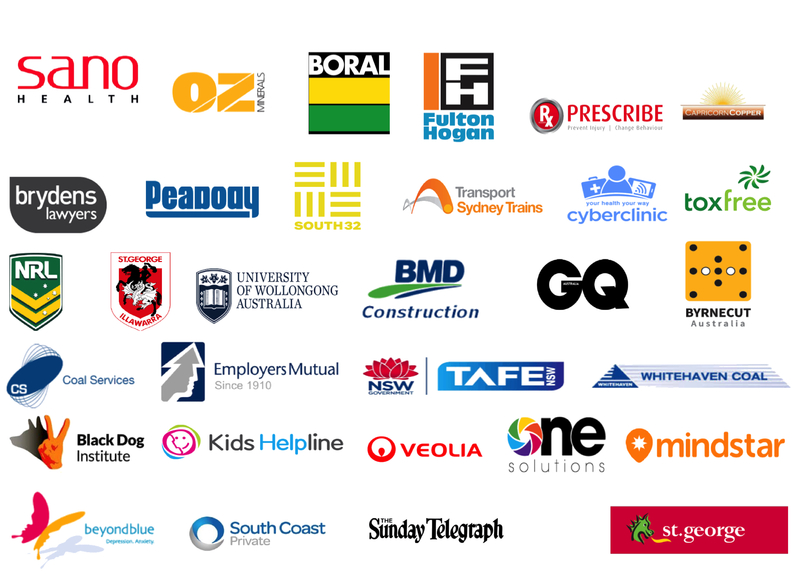 Here are some of the companies, organisations we have worked with.